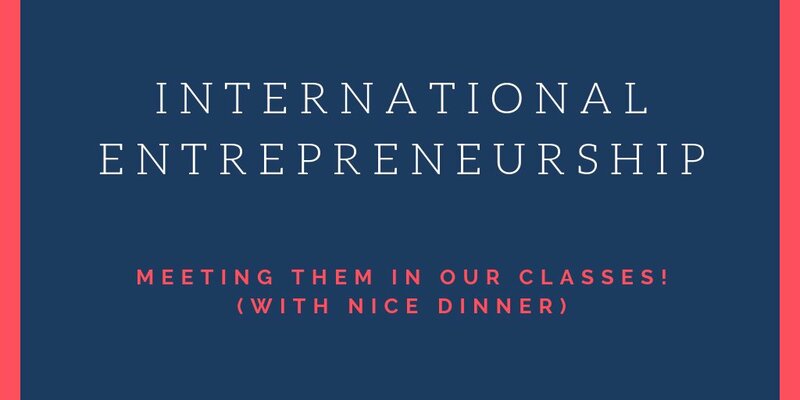 USC Marshall is well known for entrepreneurship and international diversity, but how many of you know about classmates who are/will plan to create their own business across international borders? Here is a great chance to meet these ambitious classmates! We will use the time at the event to share information about our business, business ideas and plans to ultimately inspire and advise one another over a delightful dinner. Also, we will create a document recording all personal information of USC international entrepreneurs. We will share this document for your convenience, so that you can connect with other international entrepreneurs for advice or networking purposes. We will pass this document down to future Marshall graduates at USC. Also, there will be panel session to explain some of the country's entrepreneurial world landscape! There will be short a presentation about each countries' startup scene when starting, so please apply for that! IMPORTANT NOTICE : It's not just for international students, but ANYONE WHO HAVE INTEREST IN THIS TOPIC! We hope to host a casual but inspirational gathering!